Well, when you really look at it Illawarra has produced a hell of a lot of footballers to come up and play with St George. 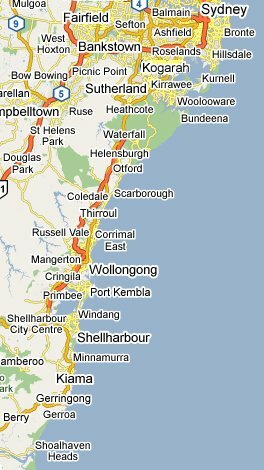 So I do not condemn St George and Illawarra merging because Illawarra has got a big backyard down there with a lot of junior footballers coming through. 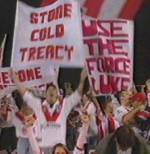 In 1999, St George and Illawarra joined forces and took the field as the St George Illawarra Dragons. The joint venture made official a long association between the two districts that could be traced back to the 1920s. 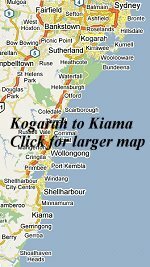 While the Illawarra Steelers' 17 seasons in the first grade was over, the agreement ensured that top grade rugby league would continued to be played in the Illawarra as the junior base extended from Kogarah to Kiama and beyond. NRL squad of 25 players: 13 from St George and 12 from Illawarra. The club captaincy of 1999: co-captains Nathan Brown and Paul McGregor. The St George jersey with the Red V shall be retained. Team nickname shall be 'The Dragons'. Sock and shorts will resemble the Steelers old design. Home games to be shared equally between the districts of St George and Wollongong. St George and Illawarra shall retain their district first division sides. In 1999, the Dragons came from sixth position in the minor premiership to qualify for grand final, eventually completing the season in second position. St George junior, Brad Mackay has re-united with the Dragons. He left St George for the Western Reds in 1994. After the Reds' demise, he linked up with Illawarra and then did the full circle with the creation of the joint venture. Pic above: National anthem at Stadium Australia with Brad Mackay (front) flanked by Paul McGregor, Lance Thompson, Trent Barrett. Stadium Australia Homebush, 6 March 1999: A massive crowd of 104,583 were on hand to see Rugby League's double header and Saints and Parramatta begin their seasons at the brand new Olympic facility, Stadium Australia. Darren Treacy became the first try scorer for the new joint venture but victory on the night went to Parramatta 20-10. 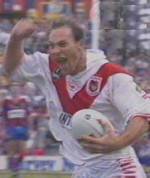 Bruce Stadium, 20 March 1999: A dramatic try to Rod Wishart and late conversion to Wayne Bartrim has seen the Dragons pull off their first win of the year by 16-14 in front of a crowd of 11,096. Saints had previously lost their opening two rounds. With just minutes remaining, Nathan Brown put up a cross field bomb and found Wishart leaping high to score out wide. Bartrim lined up the conversion and slotted the difficult kick to give Saints a two point victory. Woolaware, April 1999: In a highly publicised incident, St George legend Barry Beath was involved in a punch up at Cronulla Leagues Club. The former forward stepped in when Cronulla Chief Executive, Peter Gow attacked a young St George supporter with scissors and proceeded to cut up his Dragons jersey. Stunned onlookers reported that the incident was without provocation and that Gow was acting in an 'uncontrolled manner'. Barry copped a punch in the face for his troubles but Gow was later forced to resign after investigations found that he defaced a St George jersey and assaulted a club patron. In 1999, the Dragons almost pulled off a remarkable year when they made the semi-finals and appeared unstoppable as they suddenly hit top form. Without a doubt, they were the team to watch throughout the season as they posted some dramatic wins on the back on some excellent attacking play. Coming into the semis, Saints were in 6th position. They swept through the semis with wins over Melbourne (34-10), Easts (28-18) and Cronulla (24-8). They went into the Grand Final as favourites having defeated their opponents, Melbourne twice throughout the year. In fact, since joining the competition in 1998, Melbourne had never beaten St George and they appeared to be a team which had already exceeded their expectations by making the Grand Final. As the forwards dominated their opponents, the backs let loose. Stand outs included Jamie Ainscough (pic right), Nathan Blacklock who was the competition's leading try scorer, and Anthony Mundine who often showed a tremendous turn of speed to devastate his opponents. Stadium Australia, 26 September 1999: In what was perhaps the most controversial Grand Final in living memory, Saints have lost the lead and the match just minutes from full time courtesy of a penalty try. The first half belonged to the Dragons with a try to Craig Fitzgibbon and a brilliant 70-metre solo try to Nathan Blacklock (pic left). Blacklock showed his class from the stand-in position of fullback when Storm half back, Brett Kimmorley thought he saw Blacklock standing too deep and he decided to chip-kick ahead. Dramatically, Blacklock swooped on the bouncing ball on his 30 metre line and within the space of a second was bursting through for an unopposed run to the line - bringing the crowd of 107,999 to it's feet. At half time Saints were dominating and it was 14-nil. Melbourne came out in the second half all fired up and got back to 14-6 down. A try to Paul McGregor put Dragons up by 18-6 and with 20 minutes to go, Dragons supporters could almost touch the trophy. However, in an incredible turn of events, Saints let their grasp slip as Melbourne were given almost free rein by referee Bill Harrigan. While there is no disputing the match winning penalty try and Storm's ability to get back into the match, supporters were alarmed by the high rate of referee errors which favoured Melbourne in the second half. The final controversy was heart breaking for Saints supporters when the referee correctly ruled a head high tackle against Jamie Ainscough on Smith who would have scored [pic right]. The subsequent penalty try saw the Storm with a conversion right in front and a two point victory. Afterwards, there was barely enough time for the kickoff. Interchange: Craig FITZGIBBON, Colin WARD, Brad MACKAY, Rod WISHART. Gold Coast & Adelaide gone).